A bright day has come, and festivity is in the air. A well-chosen historical sword is necessary to complete your period attire. Hand forged to celebrate the ageless spirit of chivalry, the Rough Medieval Two-Handed Sword sets the right tone. The wooden handle with leather wrap and the included sheath highlight the historical tone of this classical replica sword. A high carbon steel blade makes this suitable for light, non-contact practice for added fun. You can proudly display this piece within your castle walls. 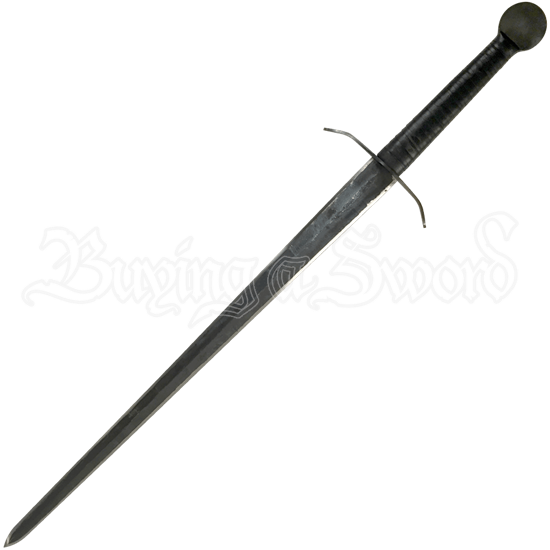 This is a wonderful decorative weapon crafted to honor the traditional style of the medieval knight. Carry this with pride while communing with your dear fellows.